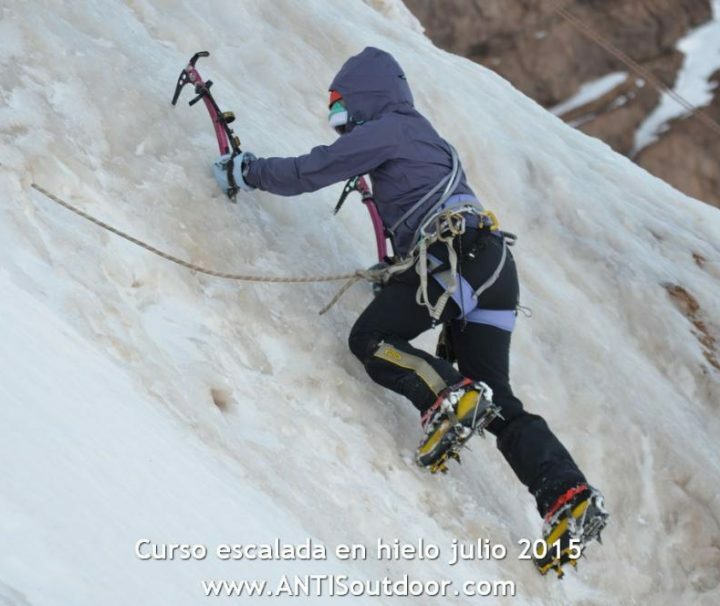 South America offers you all the possibilities to practice mountaineering, trekking and climbing. Whether in Cuyo or Patagonia, in the white mountains of Bolivia, Peru or in the volcanoes of North Argentina and Chile. 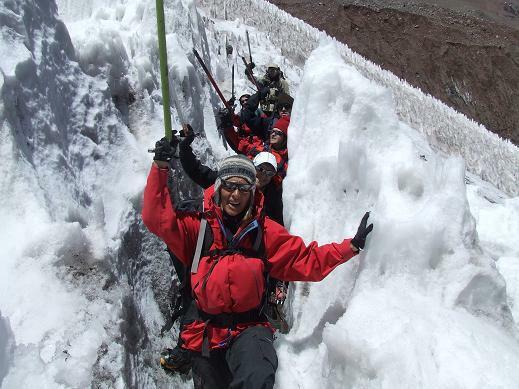 Join our groups for mountaineering, trekking and climbing in South America. The mountains, glaciers, jungle, deserts, steppe and forests have something in common in South America. The mountains of the Andes range at the bottom of each of these landscapes. It is so extensive that in its passage changes from jungle to desert, desert to forests and finally at the very south of the continent with the forests yielding the protagonism to the great glaciers. In South America you will find the flame of your surprise more alive than ever. A lake at more than 4,000 meters high in the peruvian – bolivian Altiplano. 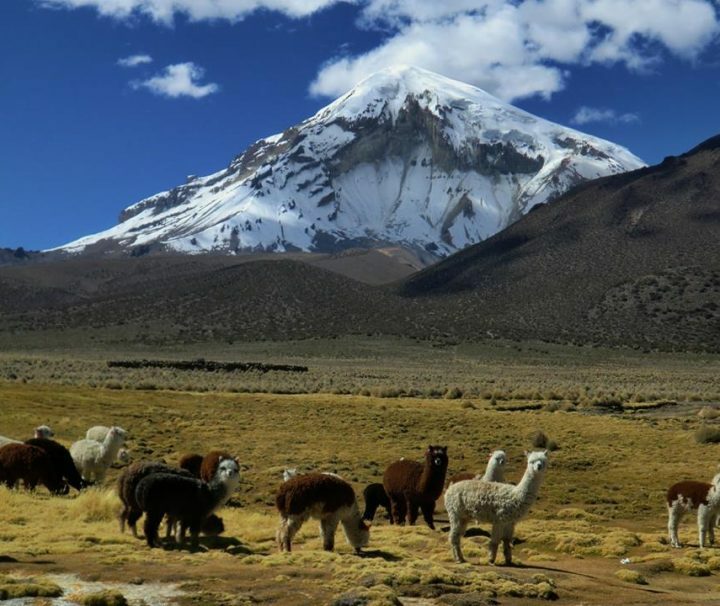 Or to travel hundreds of kilometers of an altitude desert in the approaching to the highest volcanos of the planet in the Argentinean and Chilean north. These countries have the largest extensions of mountain range of the whole continent. In the center – west of Argentina rises the maximum height of the west, mount Aconcagua with 6,962 meters. Here you will find the ideal destination for high altitude mountaineering. Patagonia is one of the most beautiful regions in the world for trekking. Glaciers, forests and rivers still hide the wild nature and harmony between the landscape and the human being. The Patagonian volcanoes are triangles of snow and ice that stand out over coniferous forests in a fantastic landscape. 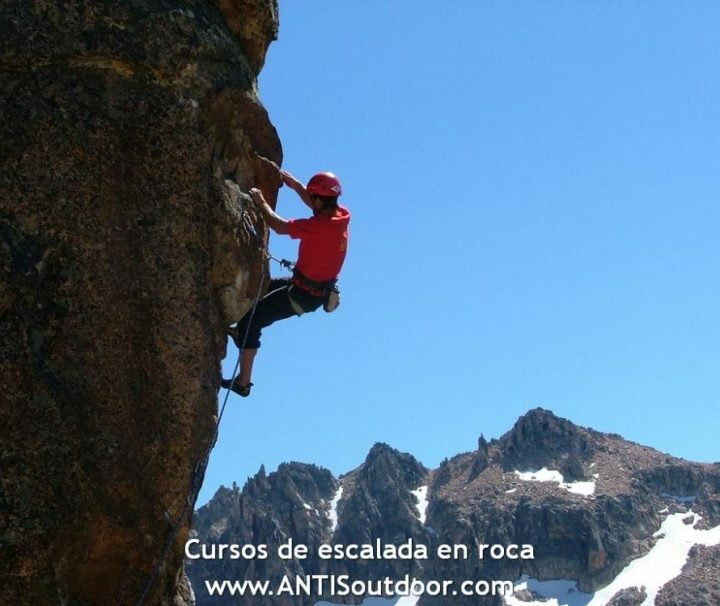 A paradise to practice mountaineering of heights less than five hundred meters where you will not need acclimatization. In the territory of Brazil you will find the greatest diversity of centers for climbing of the continent. The morros in many regions of the country offer climbing centers with great jungle landscapes or beaches. Wonderful South America. 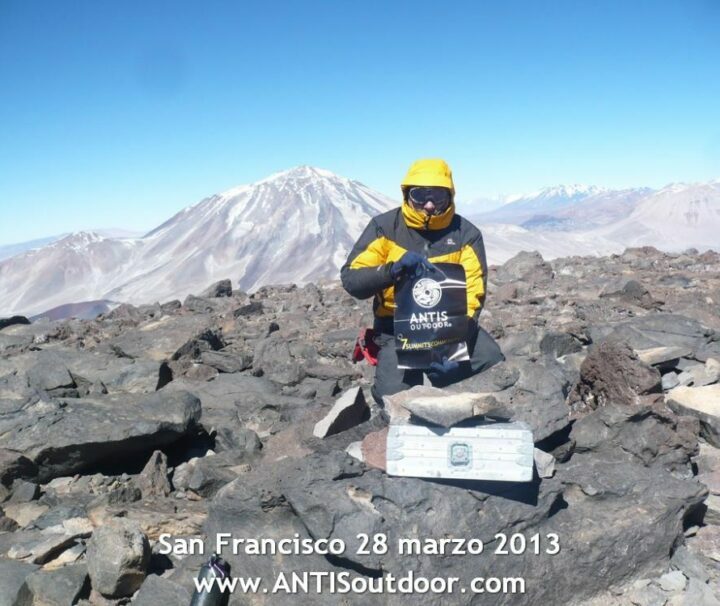 Meet with the groups of ANTIS outdoor. 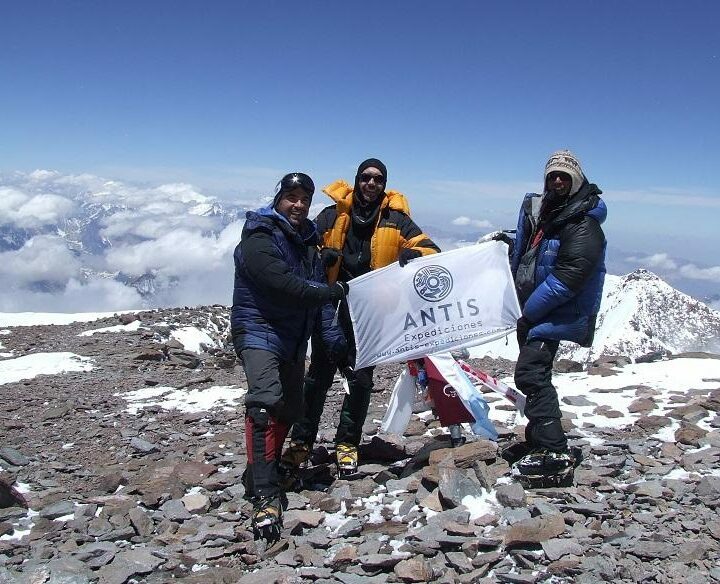 Pissis (6,795 meters) Guided expeditions to the second highest volcano in the world. 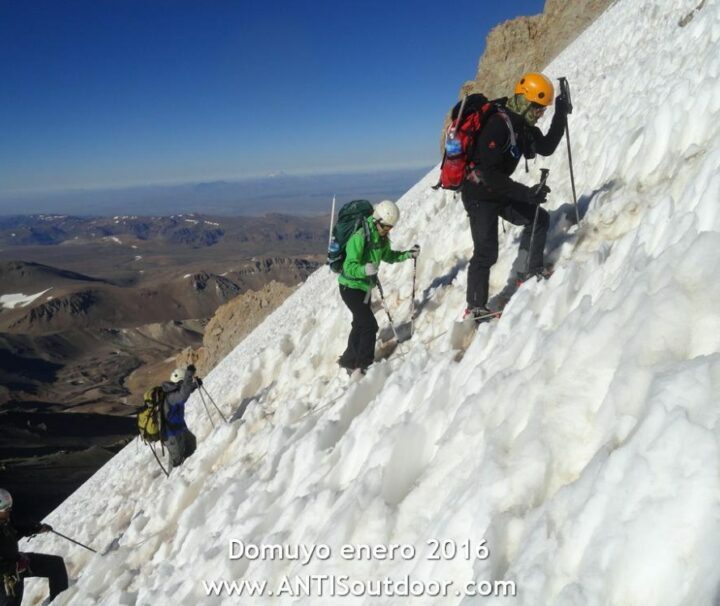 Aconcagua Trekking, in the most spectacular destination in Argentina for trekking and mountaineering.